Pay-per-click (PPC) ads helps drive traffic to your sites. Advertisers get to display their ads and are only charged when a user clicks on their ads, ergo "pay per click". Investing in paid advertising can be quite a gamble, though. While it's advantageous that you get charged after a user clicks your ad, PPC advertising can be very complicated to figure out and get a handle on. It can get really expensive, too, and there is the risk that people will ignore sponsored ads. This shouldn't be the case. Make the right decisions by using a platform like Google Analytics to help you get insights about your site. You just sign up for the service, add a tracking code, and get the data you need to generate more traffic for your site. And since we discussed advertising, we're getting your site ready for optimum development by including Google AdWords. The first few steps to improving your business does not have to cost you. Your own website - optimized and with great content. 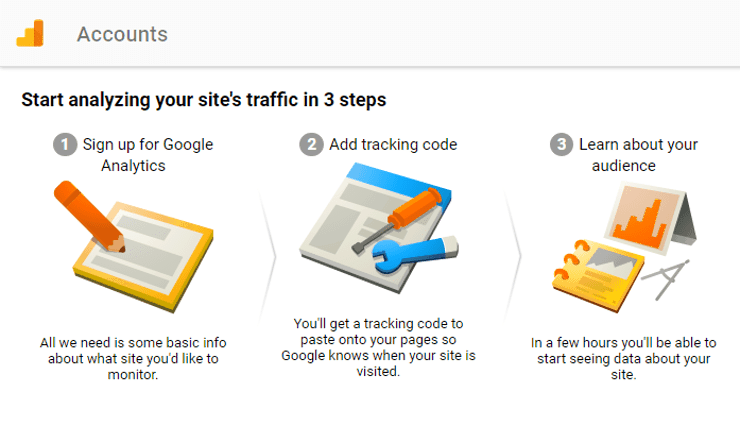 Sign up at https://analytics.google.com/analytics or connect your Google account. Choose which one you'd like to track: Website or Mobile App. Click on the tab you want and enter the required information: Account Name, Website Name, Website URL, Industry Category, and Timezone. Scroll down and enable or disable the given settings. Click Get Tracking ID when you're done. You'll find your Tracking ID. 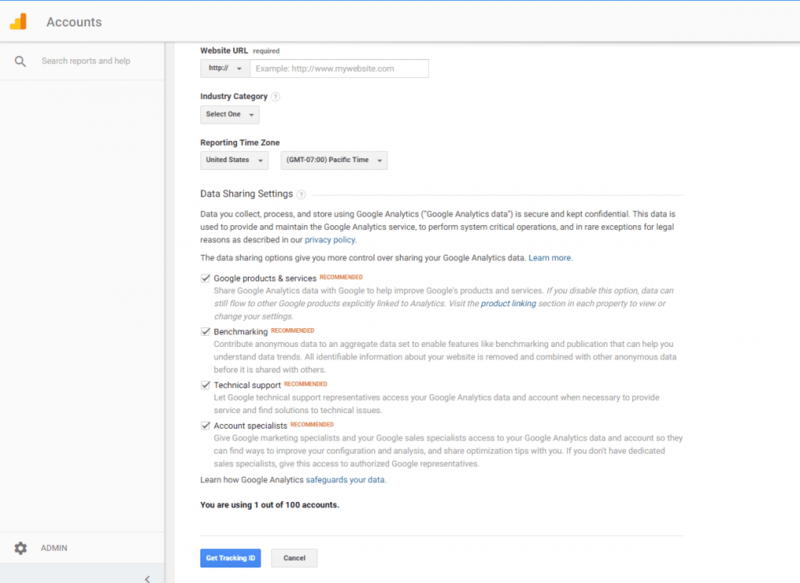 Find instructions, depending on your hosting provider, and add your Google Analytics code. A link is provided for hosting providers like WordPress, GoDaddy, and Wix. Log in to your AdWords account > Go to Settings > Linked Accounts. Click on View Details on Google Analytics then click Setup Link > Save. Time Lag. Determine the best time frame to make bid optimizations. Go to Conversions > Multi- Channel Funnels > Time Lag. Landing Pages. See how well your site entry points perform. Go to Behavior > Site Content > Landing Pages. Product Performance. Find them by volume, revenue and AOV. Go to Conversions > eCommerce > Product Performance. Create social accounts and pay for ads to build awareness. Use Google's In- Market Audiences to target users in a buying cycle. 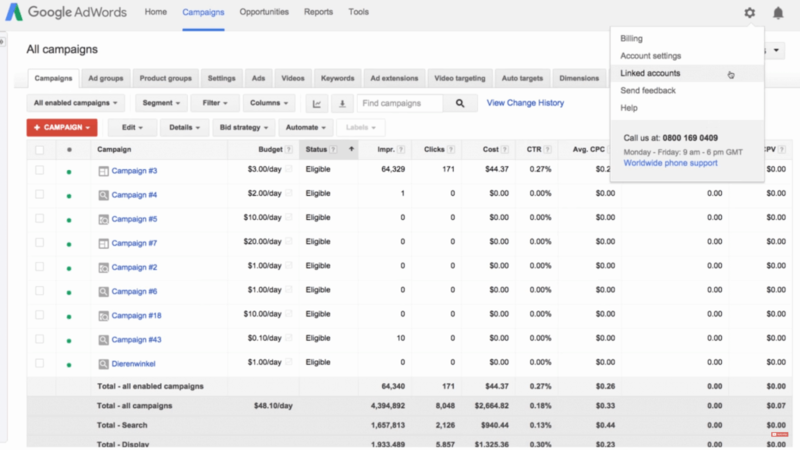 Constantly track your campaign performance and stop paying for ads that aren't producing. Advertise to Gmail users based on the content of their emails. Bid on the branded terms of your competition. Google Analytics is a great way for you to save money on what you spend on your ads. And by combining several advertising tools and methods, you could increase your sales by up to 125%. You could even get your ad expenses down by at least 33%.